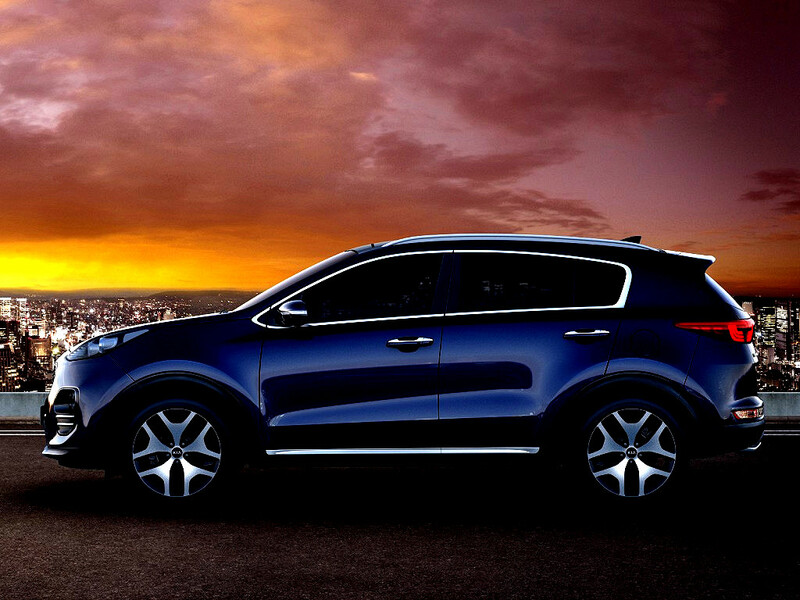 The new Sportage is fresh and bold and could not be mistaken for anything other than a Kia. 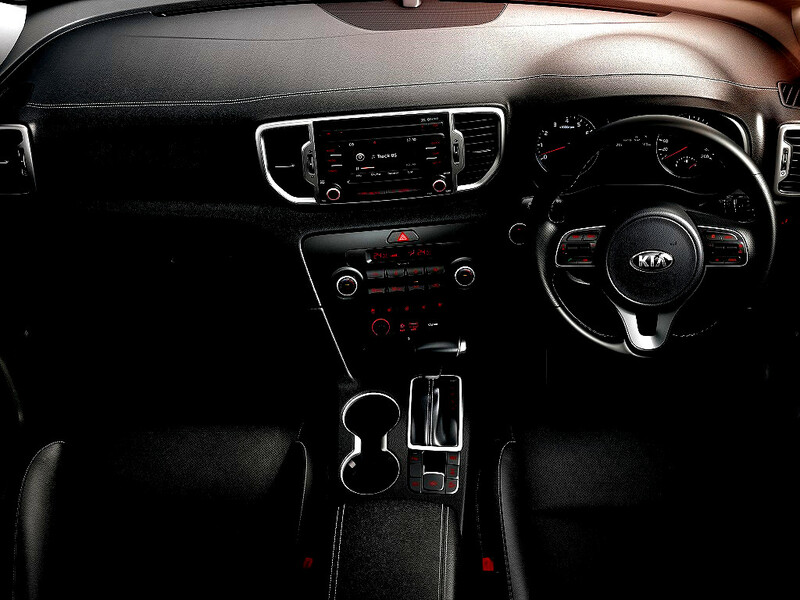 It embodies Kia's new-found visual dynamism by successfully taking the key features of an off-road vehicle - the commanding driving position and heightened sense of security - and enveloping them in a sleek and urban-friendly design with global appeal. With its athletic and muscular design the Kia Sportage fits its name perfectly' - Peter Schreyer Chief Design Officer, Kia Motors Corporation. 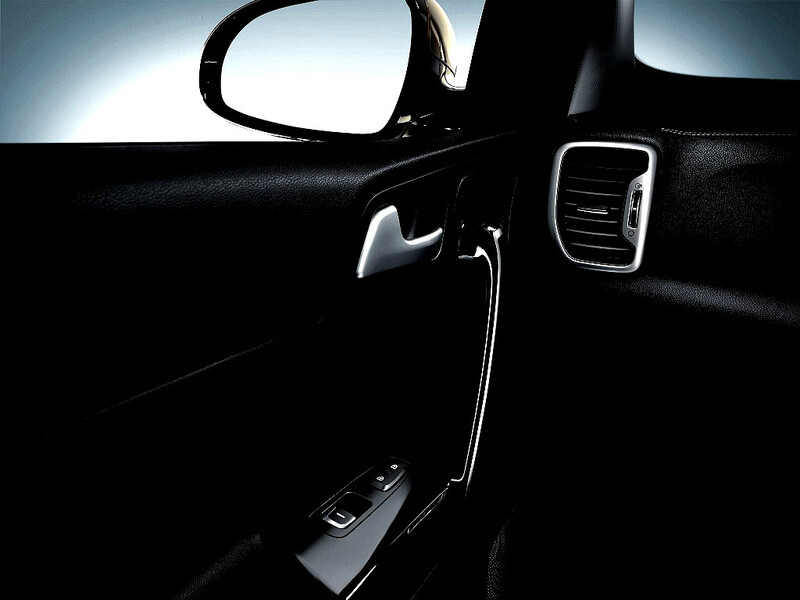 Open the driver's door and enter a world of modern functionality, ample interior space and comfort. 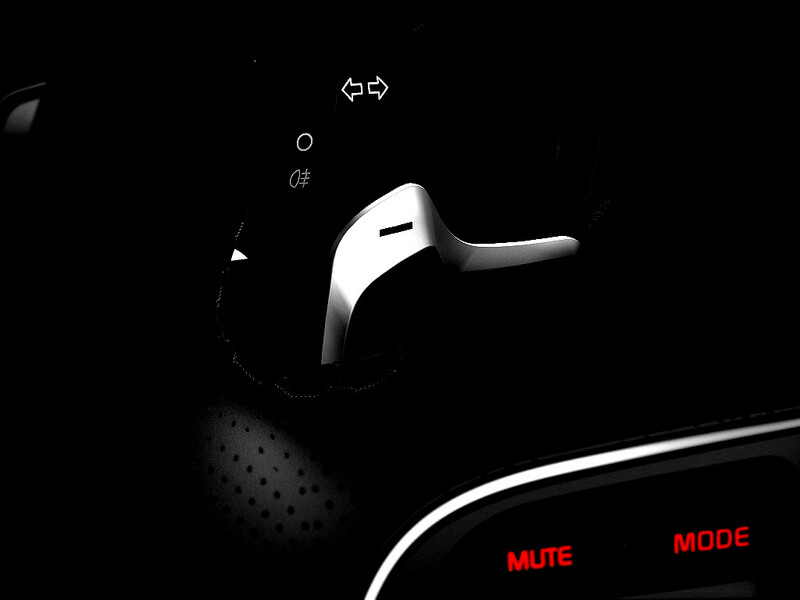 The first thing that catches your eye is the multifunction three-spoke steering wheel with Audio Remote Control and Cruise Control - ensuring a more convenient and pleasant journey. 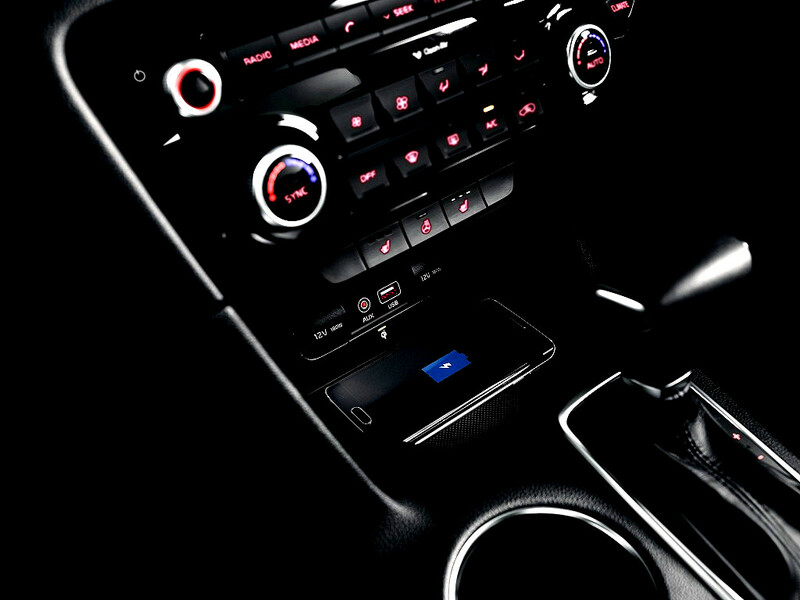 The newly designed circular gauge cluster with fluorescent needles contributes to a sporty look with clear visibility. 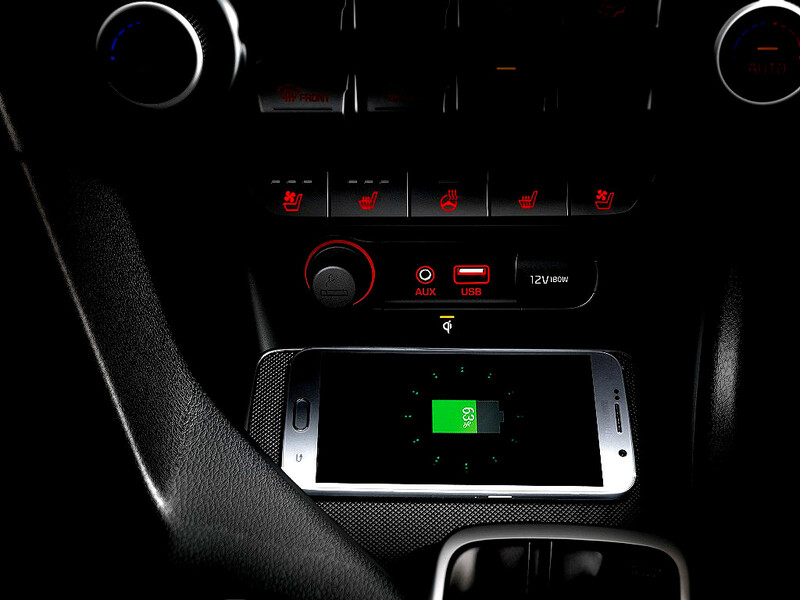 A Start/Stop Button with Smart Key blends modern innovation with style and allows the driver to start the engine at the touch of a button. 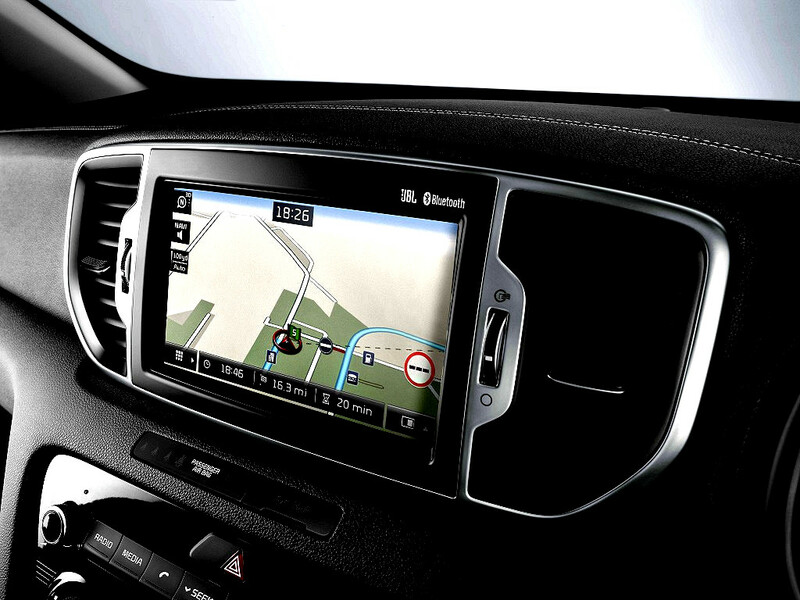 The multimedia capabilities of the Sportage include a high tech audio system with MP3/iPod/USB connectivity. The built-in rear-view camera and RPAS (Rear Parking Assist System) ensure functionality in its highest form while the upgraded sound system with built-in subwoofer and external amplifier add to a fun driving experience. One glance is all it takes to realise that the Sportage is distinctive from every angle. 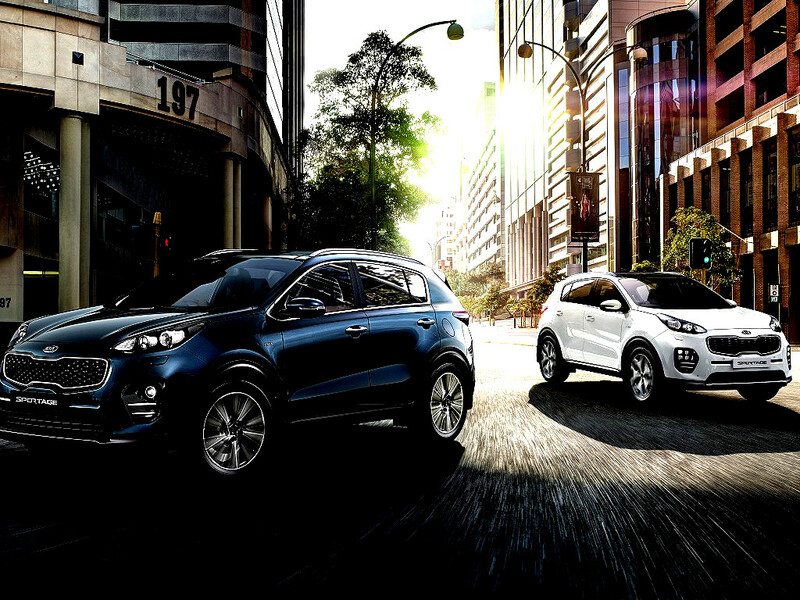 Combining bold lines with dynamic proportions, the Sportage is all about looking good. The striking radiator grille design is based on a symbolic representation of a tiger's roaring countenance, which accentuates the car's aggressive styling and exhilarating performance. Black bezel and LED Daytime Running Lights add to its sporty image whilst the bold hood line exudes a dynamic sturdiness. 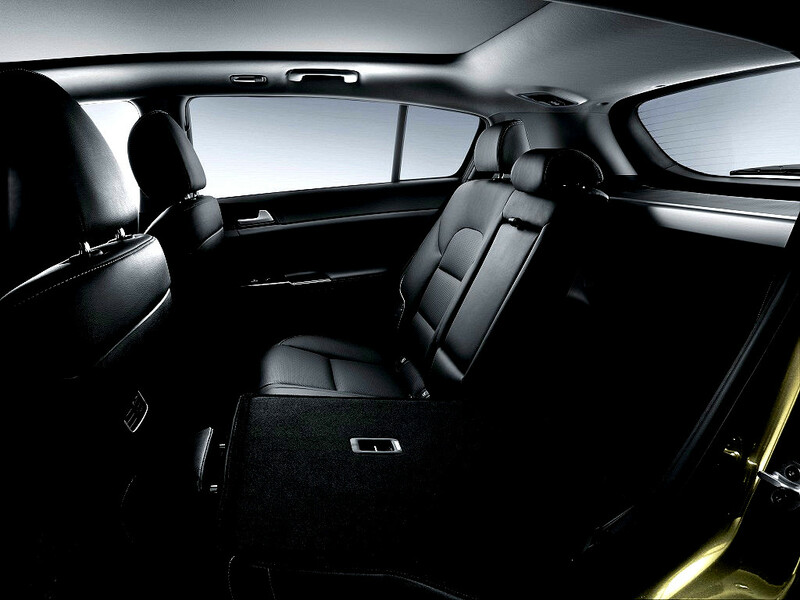 The side view of the Sportage boasts a C-pillar design and a sleek roofline to complement its modern and powerful image. When it comes to convenience and practicality, the Sportage is equipped with roof rails for the adventurous and electric folding side mirrors that assist in getting into those tight parking spots. The Sportage comes standard with either 17-inch alloy wheels on the 2WD or 18-inch alloy wheels on the AWD, both designs portraying a large appearance and sleek posture. 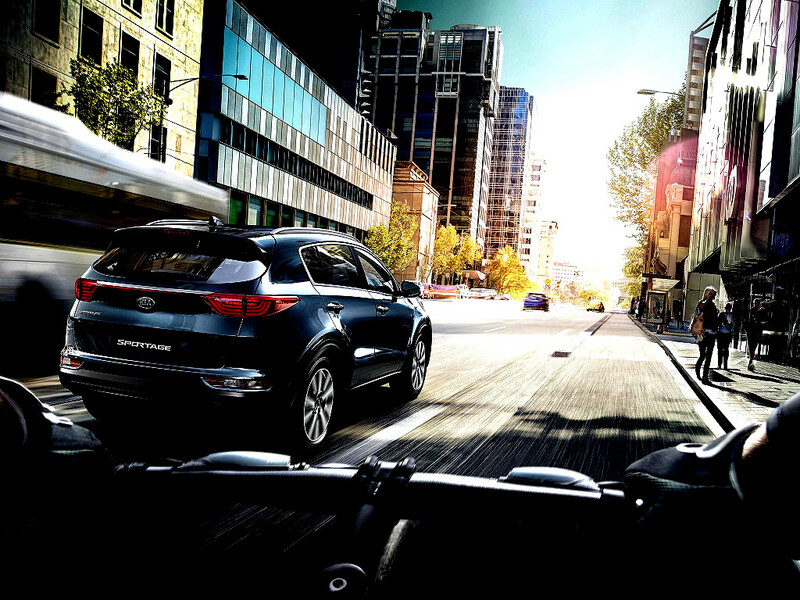 The striking Sportage is at its most appealing when it comes to life on the road. 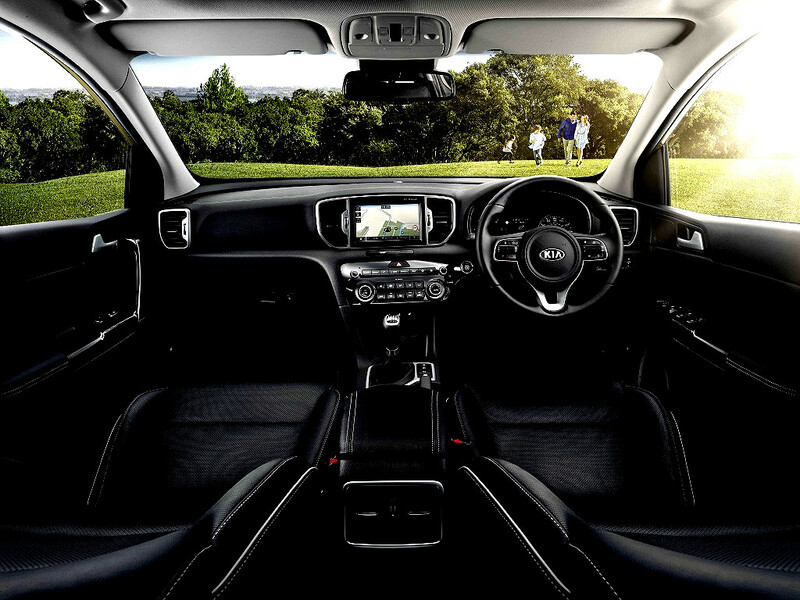 And to make sure this is where it stays, the Sportage offers a range of state-of-the-art safety systems that deliver the highest level of all-round protection possible. 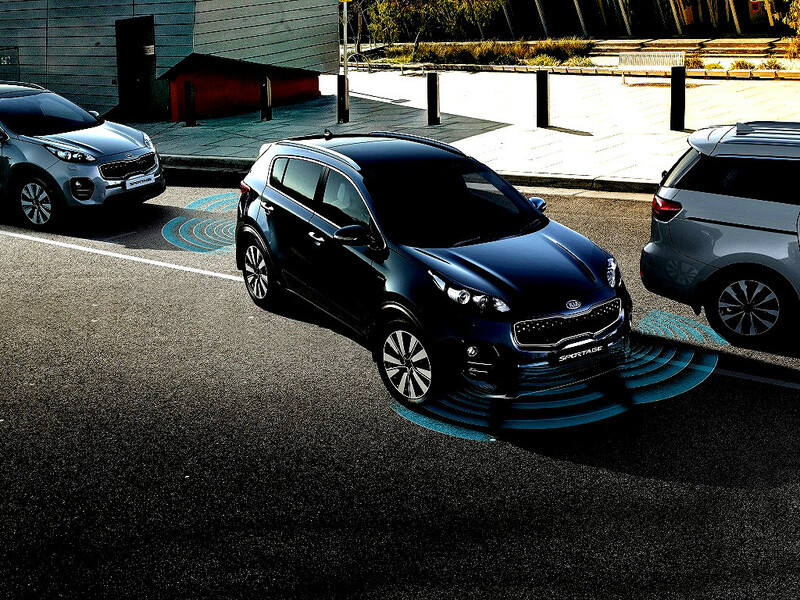 The Sportage is equipped with an automatic Electronic Stability Control (ESC) system that optimises brake-force distribution in critical situations, enhances grip in wet conditions and restores directional control during potential skidding. The Anti-lock Braking System (ABS) with EBD (Electronic Brake-force Distribution) and Brake Assist System (BAS) maximises braking power and helps apply maximum braking force in the event of an emergency. Newly added features to ESC include Hill-start Assist Control (HAC), which prevents backward rolling during stop-start driving up inclines, and Downhill Brake Control (DBC), which maintains vehicle speed and control when driving down steep slopes. Ensuring maximum protection for all occupants, the Sportage is equipped with a 6-airbag system, consisting of dual front, side and full-length curtain airbags, as well as child anchor points in the rear to protect the little ones in the event of a collision. The Active Headrests automatically move forward and upward during impact and protect against whiplash injuries.